start at home we use only 100% Michigan grown trees! Johncock Forestry Products sells a range of high-quality wood products and wood byproducts, sourcing local Michigan hardwood, softwood and pine. 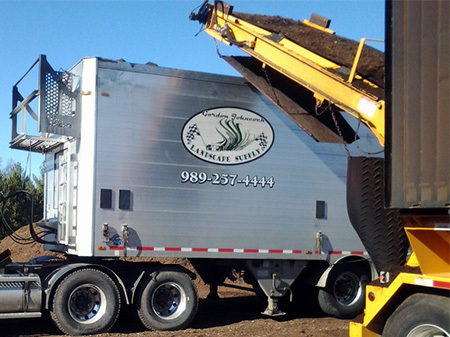 For nearly a decade we have serviced northeast Michigan with high quality, wholesale mulch, wholesale wood chips, firewood, pallet cants, and more. We also offer in-house delivery services; get the great products you need directly from us!! Johncock Forestry Products is a family owned and operated company with farming and logging roots. We have a strong appreciation for the local area timber ecosystem. We take pride in our old fashioned values where a handshake is our word and our reputation is more important than a sale. Natural Forestry Supplies Since 2009, Johncock Forestry Products has been a trusted source of wood and landscape supplies in Michigan. We sell a full range of timber and landscaping products, including firewood, wholesale mulch, sawdust animal bedding, wholesale wood chips and more. With our well maintained fleet of in house delivery vehicles, we’re able to offer wholesale delivery on all of our products. 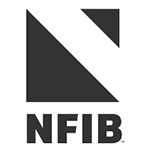 We are proud to be one of the many sawmills in Northeast Michigan, near the heart of Huron National Forest. We’re here to answer your timber related questions and provide premium quality products. Our family owned and operated business has more than 50 years of collective experience in the timber industry and we’re committed to making your investment in landscaping supplies or timber products as easy as possible. Our highly qualified team members are glad to help you identify the right landscaping materials and timber-based supplies for you. 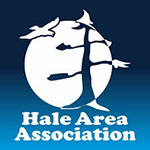 Our locally-based, environmentally conscious business belongs to the Hale Area Association, the Michigan Green Industry Association, the National Federation of Independent Business and the Small Business Association of Michigan. If you’re in need of wholesale landscaping materials in Michigan, sourced from a responsible supplier, look no further than Johncock Forestry Products. To learn more about our full selection of timber and wood-based products, contact Johncock Forestry Products today. We’re happy to provide quotes on products and delivery services. Our sawmill sells a range of natural wood products, sourcing and using local Michigan hardwoods, softwoods, and even pine! We provide delivery services through our fleet of in-house vehicles. Let us know what you need, the quantity and where you need it—we’ll take care of the rest. We aim to provide premium products for your needs, helping you get the very best value out of your decision to choose us for supplies. 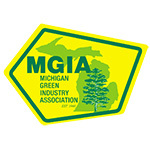 We’re proud to belong to the Hale Area Association, the Michigan Green Industry Association and more.